You can pay with a credit card for as little as 1.87% through Pay1040.com. Or, pay with a debit card (including most Visa and MasterCard gift cards) for as little as $2.25 per transaction through OfficialPayments.com. Tell your tax preparer or tax software that you’ll pay via check. Then, browse to the appropriate tax payment site (e.g. Pay1040.com, OfficialPayments.com, or PayUSAtax.com) to pay your taxes. There is no need to mail in the 1040V payment voucher. When does it make sense to pay with a credit or gift card? Meet minimum spend requirements: If you’re working on meeting a card’s minimum spend requirements in order to snag a big signup bonus, it can be well worth paying the 1.87% fee. Profit: A number of credit cards offer rewards worth more than 1.87 cents per dollar. Use one of those cards to profit while paying taxes (and you don’t have to pay taxes on that profit!). See: Best rewards for everyday spend. Buy miles cheaply: A number of cards earn 1.5 miles per dollar or 1.5 transferable points per dollar. Either way, these cards offer an opportunity to buy miles for 1.22 cents per mile by paying taxes. Some examples include Chase Freedom Unlimited, Amex EveryDay Preferred (thanks to the 50% bonus for making 30 or more transactions per billing cycle), The Business Platinum Card from American Express OPEN (for charges of $5K or more, but note that the tax payment fees will be charged separately), Chase MileagePlus Club, and BOA Virgin Atlantic World Elite. Earn valuable big spend bonuses: Many cards offer bonuses for reaching spend thresholds. You can find a comprehensive list here: Best big spend bonuses. Liquidate Visa/MasterCard gift cards cheaply and easily: If you’re sitting on some $500 Visa or MasterCard gift cards, you may be able to use them as debit cards to pay taxes online for as little as $2.25 per card. 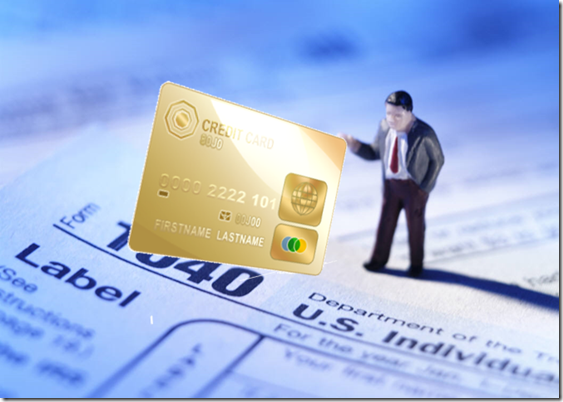 For more details about all of the above info, please see: Complete guide to paying taxes via credit card, debit card, or gift card. Today is the last day to make your PAYMENT regardless of any extension that might’ve been filed. Paid our tax bill yesterday on a new SPG card for $6k. $114 is a small price to pay to knock out so much spend, especially when it’s risky to MS for the bonus on an Amex card. can you make multiple payments with several gift cards to the same account/SSN? Any opinions/experiences on using the PayPal debit card for paying taxes? Is there any risk of getting shut down? Sorry for the late response. I believe that would be safe. So Q2 payments started accepting from tomorrow? Greg any reason you haven’t posted this year about this topic? Just curious if something has changed. I have a min spend I need to meet.